LOOKING FOR APARTMENT LOCATOR WITH GUARANTEED EXPERIENCE? 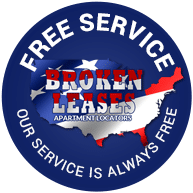 Have Broken Leases? We are your one stop resource dedicated to serving to assisting the people of the United States major metropolitan areas in the pursuit of a basic fundamental human right of having a comfortable place to live. We offer multiple professional services designed to help you get the apartment or home you desire even. BAD CREDIT | NO CREDIT | EVICTIONS | FORECLOSURES – ALL ACCEPTED! You’ll receive a personalized list of Houston apartments, including photos, floor plans and rent prices. Review this list with our experienced agents and we will take charge from there. Fill out our request form. We’ll make your apartment locator search as stress-free as possible and most likely save you money on your rent. We Help You Find the Right Houston Apartment for you. Laws vary from state to state. One easy resource to determine your rights is visiting your state’s Attorney General website. Most have information about your rights as a tenant. Nearly all major cities in the Unites States have local Apartment Associations. These organizations are basically ignored by the public yet they are powerful influences on state legislatures and city governments. They write the rules making it nearly impossible your private citizens to defend themselves in case of any conflict. It you have a broken lease, eviction, or bad credit then your ability to enjoy this fundamental right is extremely impfaired. Our lives are governed by our personal credit reports. All apartment complexes and nearly all landlords require access to you credit reports in order to process your application for an apartment or home. A poor credit report will have a negative impact on your approval. Being approved with negative accounts on you credit will often require larger deposits or non-refundable penalties by the apartment management or landlord. Paying several months’ rent in advance can also be required. A broken lease or landlord debt are considered the same thing. We live in a computerized age that tracks nearly everything we purchase. Cash is rarely used to make major purchases such as leasing an apartment. After a landlord or apartment lease debt is reported to three major credit bureaus it will stay on the credit bureaus for 7 years or even longer. The names of the three credit bureaus are Equifax, Experian and Transunion. Each credit bureau offers one free annual credit report. All three are easily accessible on the internet. There are two options to have it removed. One is by paying off the balance owed. Then you will need to make sure you receive a paid in full receipt from the person or company that reported the debt to the credit bureaus. In most instances this will be a collection agency hired by the apartment management or landlord. The debt can often be reduced through negotiation. You will also need to make certain the collection agency, apartment management or landlord reports the rental debt paid in full to all three credit bureaus. This can often take 30 to 60 days before it reflects on your credit report. Paying off the broken lease is often worth the extra expense. Many apartments will offer you a move in special as long as you do not owe another property or landlord any money. Make sure you have a receipt proving the balance is paid in full. This can often be used to override the debt the credit bureaus are still showing. People are often frustrated because the attempt to get information about the debt owed from the apartment management or landlord. Often the apartment complex changes management or the property has been sold. If this is the case, the apartment management or new owner will not have any access to information about your rental balance. You should always check all 3 credit bureaus. The other option is hiring a professional agency or attorney to contest the debt to the three credit bureaus. A past eviction is a serious problem many people encounter when attempting to rent an apartment or home. Just the fact that an eviction was filed will make it nearly impossible to find a place to live. The system is not set up in your favor. Once an eviction is filed it is recorded in the local apartment associations data bases. This automatically black list the resident as being a problem tenant. Apartment management companies and private landlords are very aware of the power of the eviction process. Often evictions are filed after the resident vacates the apartment or home. Evictions are often filed as an act of revenge or spite. Though this is supposed to be illegal apartment management and landlords often file evictions without the tenant’s knowledge. If the tenant has already vacated the residence the property management or landlord can claim they made every attempt to notify the resident but were not successful because they no longer had a proper address to send the eviction notice too. Very few apartments or landlords will accept a future resident with an eviction on their credit report. You can often visit the county clerk’s office or website to get the details of the eviction judgment. Paying off the judgement balance can open more opportunities for you. If a balance from an eviction judgement is not paid in full it will remain on the credit bureaus for at least 7 years. Debts from eviction judgements are normally reported to collection agencies. Their contact information should be provided on your credit report. Nearly all major cities that offer hundreds of different apartment complexes have them. Having an unpaid rental balance or broken lease removed from this database is possible. In order to have the balance removed you will either need to provide proof that the balance has been paid in full or provide evidence supporting your claim the balance is not your responsibility. Often people are victims of credit identity theft. Identity theft is one of the most reported crimes in the United States. It is a very serious crime. If you are a victim of identity they you need to first file a police report. You then need to contact all 3 credit bureaus and provide evidence of the police report being filed. It normally takes 30 to 60 days to have the negative items removed from your reports.